Struggle is inevitable. Being stopped by that struggle is optional. If you're stuck, I can help. Learning to develop resilience is an essential key to getting back up and getting back on track. Imagine if you could be empowered by your struggles to truly live with purpose and intention. Survival is necessary, but it must be temporary. Immerse yourself in the things you love to do. As an element of the human condition, we will all experience loss at some point in our lives. 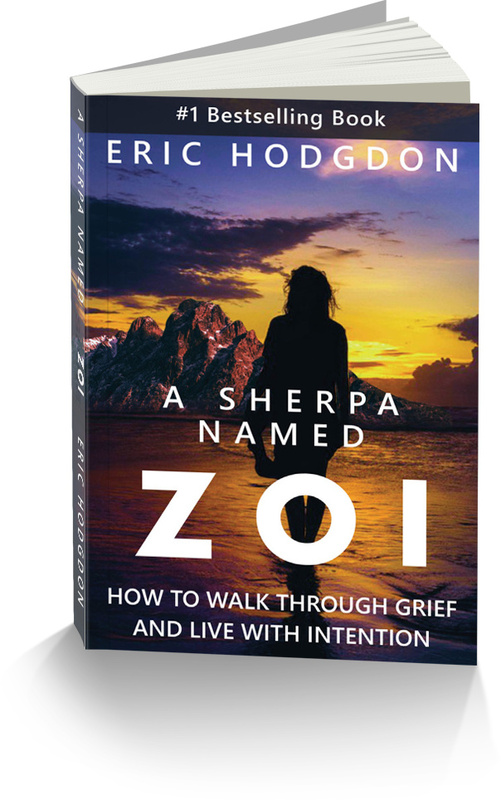 A Sherpa Named Zoi empowers you to keep moving through grief, instead of remaining stuck in a survival mode. In this powerful book, Eric shares his personal journey including what it takes to get up and live beyond the loss. As a former Green Beret, I teach senior corporate leaders that resilient leaders are the most relevant leaders. Eric Hodgdon is the most resilient leader on the planet. He brings immense strength to every leader he trains! Eric has taken his personal experience and his humanity and has become an important pillar of the Option B Community. I – like so many others – am inspired by his words and his insight.